Maintaining sound oral health extends beyond the obvious benefits of possessing a picture-perfect smile. Numerous studies reveal it can also significantly impact your overall physical and mental health. In fact, recent findings reveal how good oral health habits can help you fight against developing Alzheimer’s disease. Someone develops Alzheimer’s every 68 seconds. Alzheimer’s disease in the 6th leading cause of death in the United States. Since 2000, deaths from the disease have risen 68 percent. According to the recent study led by the University of Central Lancashire, taking care of your teeth and gums can help lower your risk of developing Alzheimer’s disease. The study included the examination of brain samples donated by ten patients without dementia and ten patients suffering from the condition. The samples coming from patients that experienced dementia were found to contain the presence of Porphyromonas by-products—the bacterium commonly associated with chronic periodontal (gum) disease. By entering the bloodstream through daily activities including eating, chewing and teeth brushing, it’s believed that these bacteria could potentially enter the brain on a regular basis. Researchers propose that such bacterium may trigger immune system responses in already primed brains cells, causing them to release more chemicals that kill neurons. 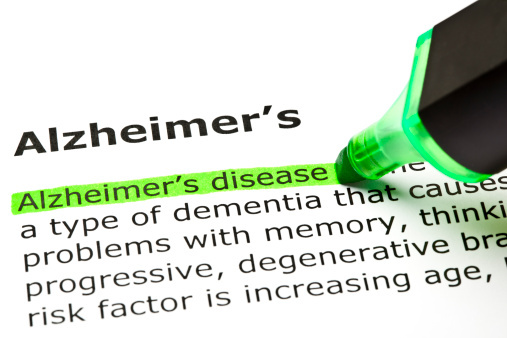 This may be a factor resulting in Alzheimer’s-like symptoms such as confusion and deteriorating memory. According to the American Academy of Periodontology, (link to ) half of Americans aged 30 or older have periodontitis, the more advanced form of periodontal disease, while the numbers jump to 70 percent for those 65 years or older. That’s a startling statistic, especially when compared to a 2012 study that revealed that seniors who didn’t brush daily were 22-65 percent more likely to develop dementia than those who brushed three times a day. Brush your teeth at least twice a day, making sure to clean every side of the teeth, especially the teeth at the back. This takes about two minutes to accomplish but is well worth the effort. Floss once a day to clean between teeth and reach areas your toothbrush can’t. Completely avoid using tobacco products as they can cause gum disease. Visit your dentist twice a year for a professional teeth cleaning and thorough examination. Make your oral health a priority by teaming up with your dentist in Escondido, CA, Dr. Todd McMaster! Together, we can help your family to benefit from the countless benefits that a lifetime of healthy smiles can bring. Share with us: Which of the four steps mentioned here do you have the most trouble following, and why?